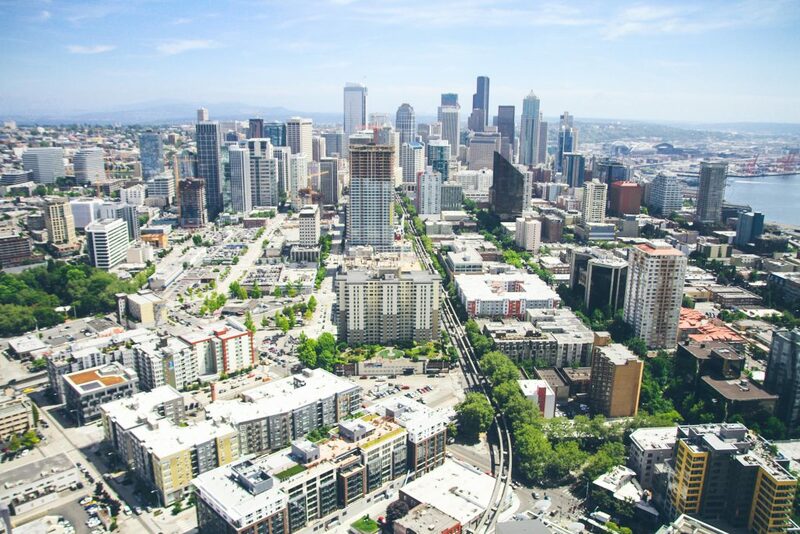 What is a Regenerative City and how do we turn this vision into a reality? 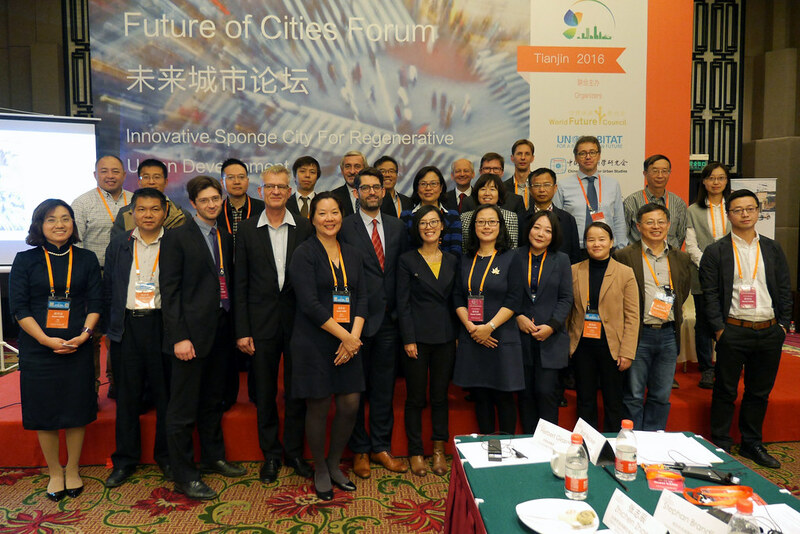 At our 6th Future of Cities Forum in Tianjin, China, leading experts from around the world explored key policy solutions and best practices to make cities more Regenerative from a water management perspective. The event was organized in partnership with UN Habitat and the Beijing Jiaotong University as an official sub-forum of the 7th Binhai Tianjin International Eco-City Forum & Expo and took place from 21-22 October 2016. Over 20 national media reported on this year’s Future of Cities Forum including Xinhua News, SinaFinance and China News and thus reached around 5 million readers. Our annual international “Future of Cities Forum” brings together mayors, city councillors, urban planners, researchers, practitioners and representatives of civil society and the private sector to discuss key challenges and solutions for regenerative cities and its hinterland. The aim is to build up a global multi-stakeholder network to operationalize the concept of a regenerative city and explore opportunities for implementation. Since 2011, the forum has taken place in Munich, Kampala, Hamburg, Dubai and Delhi. The overarching theme of this year´s gathering was “Innovative Sponge City for Regenerative Urban Development” and explored how cities can manage water related challenges. Extreme weather caused by climate change has brought severe drought and flooding problems not only to China, but many other countries across the world. The “Sponge City” concept requires cities to improve their freshwater eco-system (rivers, lakes, urban wetlands, gardens) to absorb, purify and re-use water, for the city to be climate resilient, water regenerative and eco-friendly. In 2015, the 5th Future of Cities Forum was held on September 14th and 15th 2015 in Beijing and in Tianjin. On the first day, 14th of September, the Future of Cities Forum was held in Beijing as an official sub-forum of the 11th Forum on Environment and Development. On the second day, 15th of September, the Forum moved to Tianjin and will be held as an official subforum of the 6th China International Eco-city Forum & Expo. 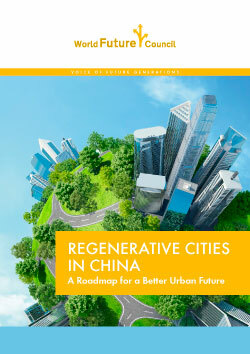 The outcome report entitled Regenerative Cities in China: A Roadmap for a Better Urban Future is available here. The Future of Cities Forum in Beijing was organized in partnership with UNEP China,the United Nations Theme Group on Climate Change and Environment (UNTGCCE), ACEF (All China Environment Federation), China Urban Research Center of Beijing Jiaotong University, CITYNET and the Policy Research Center for Environment and Economy (PRCEE) of the China Ministry of Environmental Protection (MEP). During the Future of Cities Forum in Munich in 214, 90 participants including mayors, town councillors, local administrators, researchers, practitioners, communicators and urban planners from 18 countries came together to debate what leadership and participation really look like in cities, share their experiences of building bridges with other urban stakeholders, and explore the factors that create long-term visions for cities. More info on past events please click here. The outcome report of the Future of Cities Forum in Munich is available here.